A celebrant is someone that has been trained and empowered to be the leader of a ceremony or ritual. At Conscious Rites, our celebrants are legally empowered to lead ceremonies but have also been trained to do so in a way that delivers more depth and meaning to the experience. We work with you to design and deliver personalized ceremony and ritual that allows you to prepare for, experience, and emerge through major life transitions exactly in the way you want to. Mara Evenstar, co-founder of Conscious Rites, creates and delivers beautiful, meaningful, and powerful ceremonies and rituals of many kinds that add depth, meaning, and connection to all of life's big transitions. Mara has been learning, practicing and teaching the transformative arts for over 20 years. Her work is supported by her ever-growing knowledge of the human condition through studies in psychology, religion and spirituality, anthropology, integral theory, ritual theory, and the arts, among many other domains. Her practice is also grounded in professional, real-world experience with research and development in education, business, and technology. You can learn more about her work on her personal webpage and LinkedIn Profile. For many years she taught psychology at Washtenaw Community College, has a Master degree of Transpersonal Psychology, and is currently a doctoral candidate at Meridian University under Dr. Jean Huston. She has also co-founded two local social enterprises, Sophia Unfolds, a program for transformation and a growing community of awakened women who come together for support, and New Myth Works, an LLC that focuses on evolving consciousness. In 2017 she opened the Ypsilanti retail store Evenstar's Chalice with her husband, Russell Jones, a retired EMU lecturer, and Jeanne Adwani, selling art and multi-path spiritual supplies. Evenstar’s Chalice also has gathering space for building community in learning, connecting, gathering and rites. Many of Conscious Rites’ quarterly community gatherings have been held in this space. 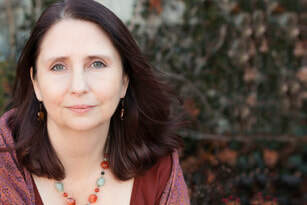 ​Mara is a highly creative and intuitive designer of ceremonial and ritual experiences. She loves the process of co-creating experiences that are powerful, meaningful, and meet the needs of the individuals and groups involved. She has been ordained through The Sanctuary of the Beloved and is an initiated Priestess of the New Earth. She is also a Reiki Master/Teacher and spiritual counselor/guide. She is dedicated to personal and social/cultural evolution and transformation, and is a proponent of affirmative action on behalf of the Divine Feminine which she lives out through her roles as mother, grandmother, sister, Spirit-Sister, daughter, and spouse. To contact Mara to inquire about availability for services on particular dates and/or about her rates, please use this contact form and enter "Inquiry for Celebrant Mara Evenstar" in the comments field along with information about your event and target dates. Mara will respond to your inquiry promptly.